Has Mike Pompeo Been In Contact With Anti-Muslim Groups At The CIA? Back when it was first reported that President Trump might nominate CIA Director Mike Pompeo to replace Rex Tillerson as secretary of state, we noted Pompeo’s history of anti-Muslim rhetoric and his ties with the anti-Muslim groups ACT for America and the Center for Security Policy. Now that Trump has officially ousted Tillerson and is trying to replace him with Pompeo, Right Wing Watch has filed a Freedom of Information Act request with the CIA to find out if Pompeo has maintained ties with those groups while at the agency. 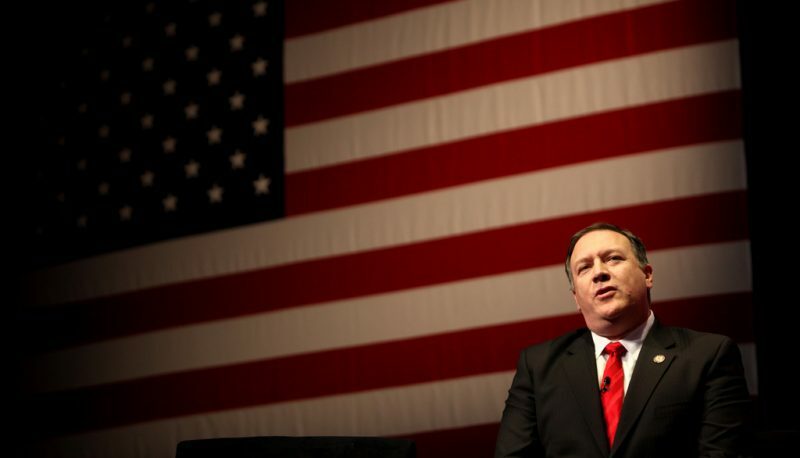 Pompeo has also had a close relationship with ACT for America, a virulently anti-Muslim group whose president, Brigitte Gabriel, has said that a “practicing Muslim…cannot be a loyal citizen of the United States.” Late last year, Gabriel sent an email to supporters boasting of her group’s ties to the incoming Trump administration. She wrote that Pompeo “has been a steadfast ally of ours since the day he was elected to Congress,” that he had sponsored a legislative briefing for the group’s members the previous year, and as “a sitting member of the Select Committee on Benghazi, he worked very closely with ACT and was bestowed our organization’s highest honor of National Security Eagle Award for 2016.” The Southern Poverty Law Center noted that Pompeo has also addressed ACT’s national conference multiple times. Pompeo has also appeared several times on the radio program hosted by anti-Muslim conspiracy theorist Frank Gaffney and spoken at at least one event hosted by Gaffney. Our FOIA request, which we submitted today, asks for copies of any correspondence or records of meetings between Pompeo and ACT for America and the Center for Security Policy while he has been at the CIA. As Lobe Log noted yesterday, Pompeo’s “spiritual adviser” Ralph Drollinger, who runs Bible studies for members of Trump’s cabinet, also has a long record of Islamophobia. We have already filed a FOIA request with the CIA seeking information on Pompeo’s contacts with Drollinger and his Capitol Ministries organization.